4K Lodges is a small rustic hotel owned and operated by a 4th generation Poth, Texan. The 4K was my father’s cattle brand. There were four of us in the family, my father, mother, brother and myself. Now that I am married and have two children, my family consists of four and lucky enough my husband’s last name also started with a “K”. Poth has many of its old original buildings. 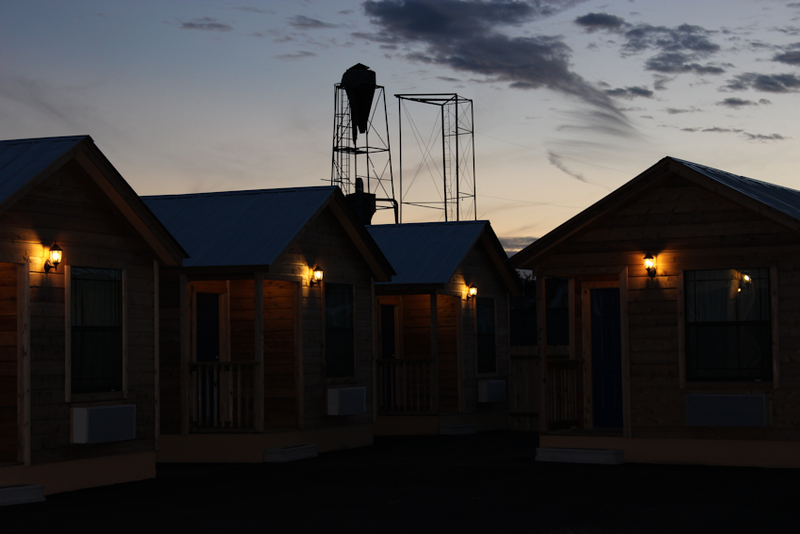 We wanted to keep with the small town rustic look and opted for the cedar cabins. Each cabin was built from the ground up on a cement foundation. The rustic look continues on into the inside of each cabin. Our furniture was custom made from northern white cedar at Rocky Top furniture in Lancaster, Kentucky. Not only are our cedar log beds beautiful, they are extremely comfortable especially when topped with a plush pillow topped mattress. For your convenience, each cabin at the 4K Lodges comes with two comfortable queen size beds, a full size refrigerator, microwave, cook top, coffee maker, free high speed wireless internet, and Direct TV. All cabins are fully equipped with pots and pans, dishware, and utensils. A laundry mat and ice machine are located on the premises. Daily housekeeping is included.